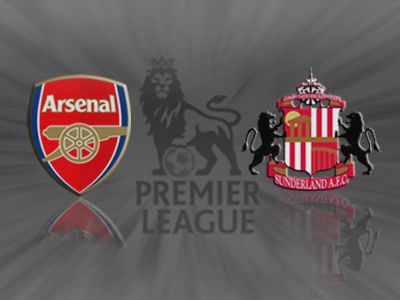 Arsenal 4 v 1 Sunderland: Emirates unlucky for Poyet’s Black Cats. It was vital to get back to winning ways after the midweek disappointment, so today’s game was exactly what the doctor ordered. A dominant win over a resurgent Sunderland, and goals from all over the pitch, Olivier Giroud particularly needing to get amongst the goals today. 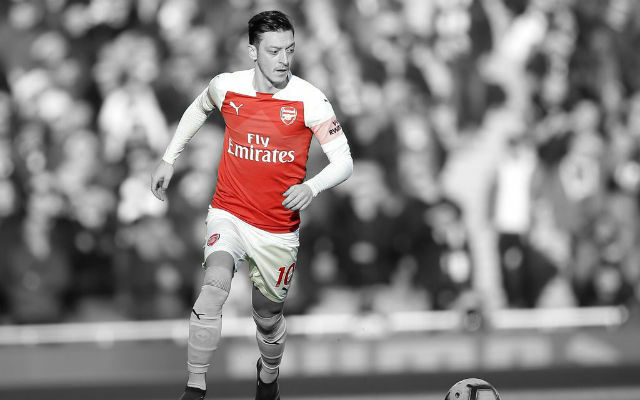 There was no Özil in today’s squad, which I think was a much needed move from Le Prof. Mesut could do with a brief stint out of the spot light, and the rest wont do him any harm either. 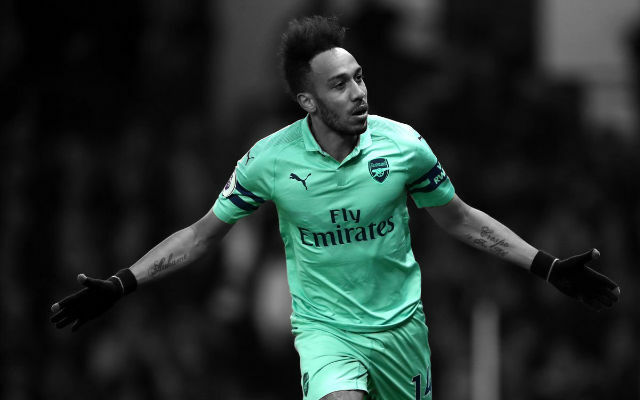 The fact that we are winning comfortably without him will also make it easier for him to come back into the side, the pressure to succeed lessened to some extent. After two games on the sidelines, Giroud needed a confidence boost, and he got it after just five minutes. Wilshere initiated a beautiful flowing Arsenal move, before getting the ball back and driving into the box. He shaped to shoot, but instead laid it off to Giroud. The French forward hit it first time, sliding it past former team mate, Vito Mannone. 1-0 Arsenal. Arsenal were dominating possession, with Sunderland barely getting a sniff of the ball. The visitors were clearly set up to hit back on the counter however, and if it wasn’t for the reactions of Wojciech Szczesny they might have succeeded. When Sunderland broke down their left flank, the Pole did well to anticipate the cross, and was out quickly to smother it. Wilshere was at the heart of every Arsenal attack, and he almost registered his second assist of the night after setting up Lukas Podolski’s hammer of a left foot. The German steadied himself, before sending a rocket towards the Sunderland goal, Mannone needing two strong hands to palm it over the bar. 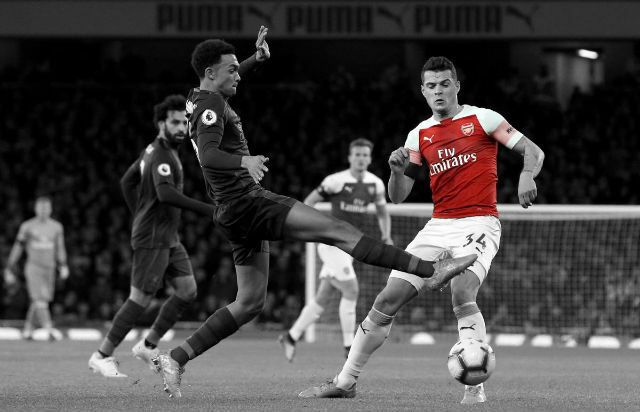 The away side were sitting deep, prepared to soak up any and all Arsenal pressure, but they were making life difficult for themselves, defensive errors creeping into their game. Santiago Vergini played a terrible back pass towards his keeper, which was easily intercepted by Giroud. Mannone came out to challenge for the ball, but the big front man calmly slotted it past the ex Arsenal man from a tight angle, for both his and Arsenal’s second of the match. 2-0. 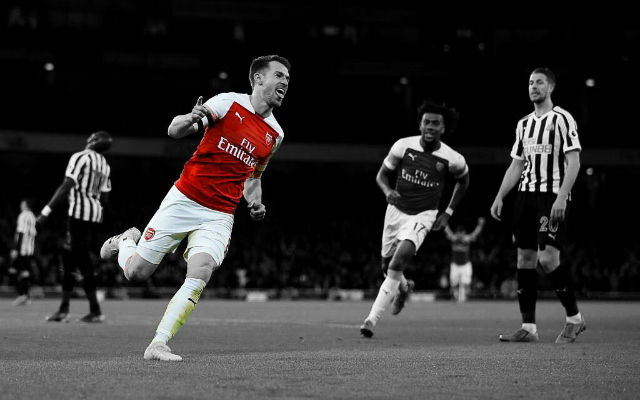 Three changes were made between the two teams at half time, Jenkinson coming on for an injured Monreal, and Giaccherini and Larsson on for Altidore and Johnson. Giaccerini was looking dangerous for the visitors from the moment he came on, and Borini looked a lot more comfortable up front rather than on the wing. Arsenal had to weather some early pressure, balls being pumped into the box by Sunderland. But having weathered the second half storm, Arsenal hit back with their fourth through Koscielny. A skewed Sunderland clearance gave Arsenal a corner, from which Cazorla found the head of his French Centre Half in acres of space. Koscielny powered the header down into the net, 4-0 Arsenal and surely out of sight. After scoring his first of the season, Laurent was unfortunately injured. It seemed merely precautionary, but he was withdrawn and replaced by Flamini. The midfielder slotting in at Left Back, Sagna moving to his third position of the game in the centre of defence. Sunderland grabbed a consolation goal late on, Szczesny punching a free kick clear, but only as far as Giaccherini. The Italian smashed a shot through a crowd of bodies, and into the bottom corner. Szczesny was visibly annoyed with himself. 4-1. Wilshere appeared to pick up a knock in the dying minutes, but having used all three substitutes, he was left on. 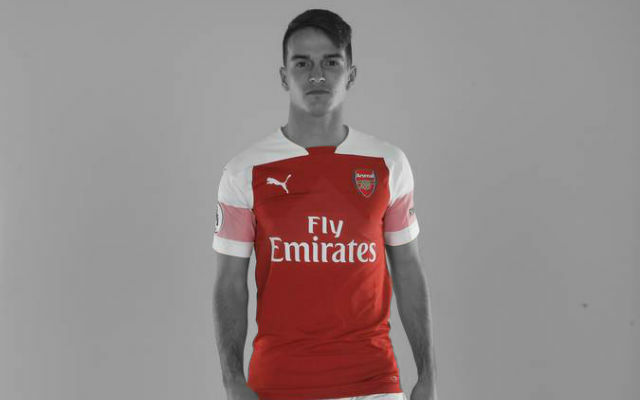 Hopefully the injuries to Nacho, Laurent, and Jack aren’t serious, and we can expect them back for our upcoming fixtures. We had a very demanding week physically and mentally and we gave the right response today. We did the job in the first half and we scored two great ‘Arsenal’ goals; one of them scored by Giroud, the other by Rosicky. I am very pleased for Rosicky because today Bergkamp got a statue and I think Rosicky took the Bergkamp role well. Certainly Dennis will have been pleased to have seen him play. He is an extremely intelligent player, focused and committed. These three qualities together make him an exceptional player and he understands everything that is going on on the pitch. I agree with you that sometimes his performances are not [highlighted], but we notice them. I had no hesitation about his strength of character. Of course you want him to come back into the team and be successful, which he was today because he scored two goals. One great one at the end of great movement and the other a little bit of a gift from Sunderland. He got an assist as well, so he did well. Against Bayern Munich, the target was to have a good performance and a good result. We only had the good performance. Of course we were very frustrated but we had to transfer the positives that we got from this game. Overall, we believe we can still have a go at Bayern. We have shown today we are capable of responding and that is the most important thing. You see City had a difficult game, Chelsea had a difficult game so you see it is difficult for all the teams at the top, but we did the job well. Koscielny has a back problem, Nacho has a foot problem because he was kicked on his foot. I think both should be available next week. Yes [he was injured], a thigh problem but it was a kick. He should also be available next week. He is in the dressing room at the moment. He had a tight hamstring, I don’t know if it is bad or not. They tell me it is not too bad. He changed the destiny of the club because he arrived at a moment when football in England was changing. He was the first big star to arrive at this club, having been at Inter Milan. Overall I think he contributed to transforming the way we played football here. Nobody forgets him. Always the biggest admiration is from the players who played with him. Everyone admitted Dennis in our team. Even today, when I meet the former players they speak always about his class. He was class, intelligent and he had another quality that is a bit lost today: he was loyal to this club. He deserves special treatment. I am not against it one day. One, he has the qualities, but you need to have the need as well because we have a big staff already. He is now at two clubs that made Dennis Bergkamp. The first, and certainly the most important one, is Ajax. He is at Ajax now and a coach there. 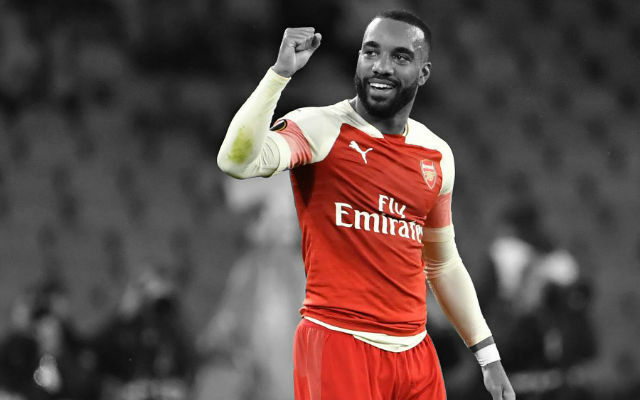 The second club that is important in his life is Arsenal. Maybe that will be the next step! Be sure to check out our Arsenal Video Highlights page to view highlights of recent matches! A link is also at the top of the article.